Contra III: The Alien Wars is a portable version of the run 'n' gun game that originally appeared on the Super Nintendo. Considering its transition from a 16-bit console it's amazing how much Factor 5 crammed into this cartridge. It contains five of the original's six levels and most of the standout moments including the wall climbing section in Stage 3. The overhead stages are still present and even though they don't feature the fancy Mode 7 graphics and have a fixed camera view they still work well and introduce a bit of variety. The final stage still includes a reimagining of Alien's Lair from the original Contra (1988, NES) but it has some exclusive areas such as several battles with the giant alien head. The game is missing a few things, namely the entire Air Battle level where you ride on motorcycles and fight in the air as you hang on to a helicopter. The first wave of the Stage 3 boss is absent (with the jumping robots) as is the ball attack during the final Overlord battle. You also can't collect two different weapons and switch between them on the fly but it's not surprising given the lack of buttons on the Game Boy. 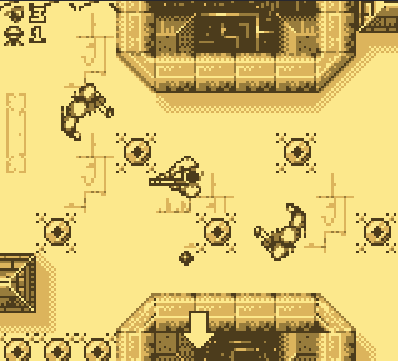 You can still pick up old favourites such as the Homing, Spread and Fire weapons though and by pressing the Select button you can unleash a Bomb that takes out everything on screen. In some ways I prefer playing this over the SNES original as the difficulty level is more even and it's actually possible to beat Normal mode without driving yourself crazy! It accurately includes a lot of the content from the SNES game and is an incredibly playable port. The graphics aren't anything special but the developers did a great job porting over many of the music tracks. The Game Boy version of Contra III: The Alien Wars is a technical masterpiece and it shows that the portable console could handle 16-bit games with the right developer. Although it lacks a few sections it's still an excellent game and is much less frustrating than its big brother. Random trivia: If you own the Super Game Boy for the SNES try using it with this game; you'll be treated to enhanced audio and a specially made colour palette!